Finding a quality paving contractor can be a daunting task, but it doesn’t have to be. 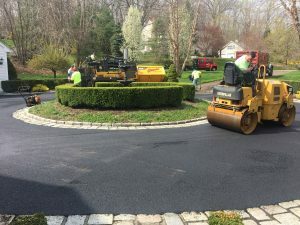 Whether you need to repair a simple crack in the driveway or hope to transform your property with an ornate new courtyard, the process of hiring a competent professional is the same. Let your fingers do the walking…on your keyboard. A wealth of information is available online, including contact information, specific areas of expertise and customer reviews. Many paving contractors have their own websites, but don’t forget about word-of-mouth recommendations. If you have a neighbor or associate who has had recent paving work done, take a closer look. If you like what you see, ask for a name. Once you have identified the candidates, go the extra mile. Study the websites, if applicable, to determine if the company is qualified to perform your project. Ask to see a portfolio—if it is not readily available online. Request a list of references that you can contact from previous jobs. Be certain that the company is properly licensed in your state. Most contractors are happy to visit your home to discuss your project. Once you are certain a contractor is qualified to do the job, ask for a written estimate. You may want to obtain multiple quotes for comparison purposes. Inquire as to scheduling possibilities, but don’t choose your company based on immediate availability only. Often the best contractors are worth a longer wait. Once you choose your contractor, it is important to get everything in writing. Negotiate a fair price and request that specific payment terms be included in a contract. Make sure there are no hidden fees and that certain expectations are clear regarding project start time and duration. In this day of do-it-yourselfers, paving is a skill best left to a professional. Follow this simple plan to hire a paving contractor well-suited for your project, no matter how large or small.